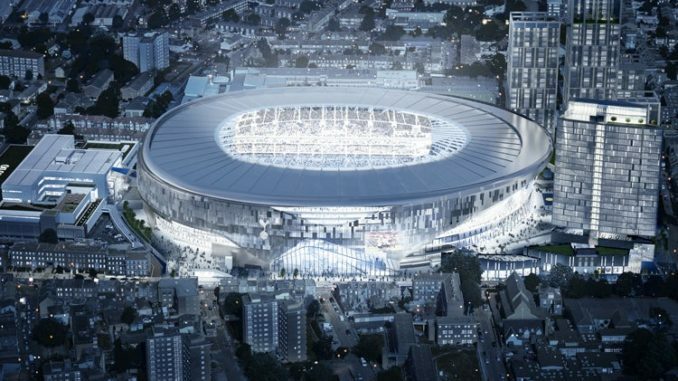 After the 2-2 Champions League draw with PSV Eindhoven, the club has come in for a bit of stick as numerous adverts billing Spurs’ new stadium claim it to be ‘the only place to watch Champions League football in London this season’. In typical Spurs fashion, the club is on the brink of elimination from the group with just one point from three games meaning when they do eventually move into the new stadium, they will already be out of the competition. A little embarrassing to say the least. However, the wait will be worth it and the move in date is getting ever closer. As it stands at the time of writing, the plan is to still get the stadium open in time of the home game against Burnley on the 15th December. Whether that will materialise remains to be seen as a number of vital safety tests are coming up for the club. Fail those and the new stadium opening date will more than likely be pushed back to 2019 with more ridicule set to ensue especially after numerous setbacks already forced the delay of the Stadium which was due to be open for the home game against Liverpool on the 15th September. However, results on the pitch can change all that and despite the uncertainty off the pitch, on it at least the club is still enjoying its best ever start to a Premier League campaign with seven wins from their nine opening games. Up next is the epic clash with Manchester City which will provide the sternest of tests at Wembley in a game City Boss Pep Guardiola has expressed concern over the state of the pitch due to recent NFL matches. Win the game, and suddenly Tottenham will be the toast of all and sundry once again but with a series of tough encounters coming which include games against PSV, Inter Milan, Chelsea and Arsenal, Pochettino and his side’s mettle will be sorely tested.